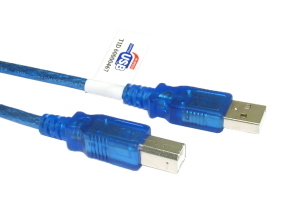 2m Blue USB Cable, type A to B for use with USB 2.0 and USB 1.1. A male to B male data cable, typically used for connecting printers, scanners, enclosures etc. 1.8m Firewire Cable. 6 way to 4 way connection. 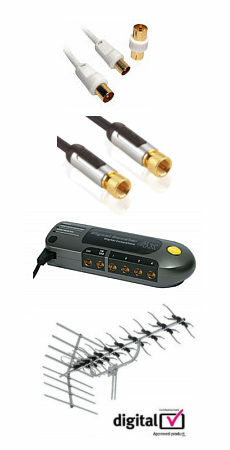 Ideal for connection of computers to firewire devices or camcorders to computers. Also suitable for i-link connections. USB C Type C to Type A Male Cable 2m USB 3.1 Length: 2 meters USB 3.1 Type A Male to Type C Reversible connector (Type C) Data Transfer Rate: 10Gbps Charging Output: 3A Colour: Black The new USB Type-C cable has a connector similar in size to a micro USB but has a symmetrical shape, this allows you to plug the connector in either way up. USB Type A to Type C This cable features both a Type-A connector and a Type-C connector making it the perfect solution for connecting modern mobile devices with a Type-C connector to a PC that doesn’t have a Type-C socket, only a standard USB connection. USB Power Delivery Our cable supports up to 20V / 3A (60W) of power. The new improved power delivery allows you to charge not only small mobiles devices such as mobile phones and tablets, but also laptops. The KVM-DV04 allow up to four IBM compatible computers to be controlled from one keyboard, one mouse and one DVI monitor. Switching between computers is as easy as pressing the button on the front of the switch or by entering a hot-key command from your keyboard, no interface card or software is required, the switch is independent of operating systems, and allows the attached computers to run different applications.